Damproofing a property is to create a barrier which protects the structure from absorbing moisture from the ground.This can be achieved by the injection of a chemical damp proof course. Other solutions may be the installation of a structural waterproofing system. J & M Remedial Services will survey your property and advise on the most effective treatment. The porosity of the walls allows them to act as a “sponge”. 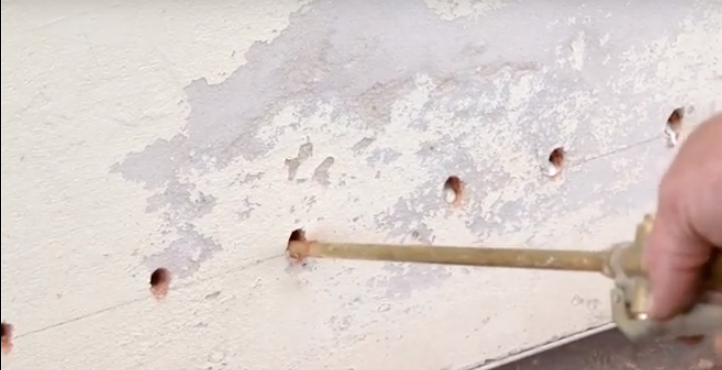 The walls absorb moisture from the ground through the capillary formation of the wall. This moisture rises and eventually shows through on inside ground floor walls. 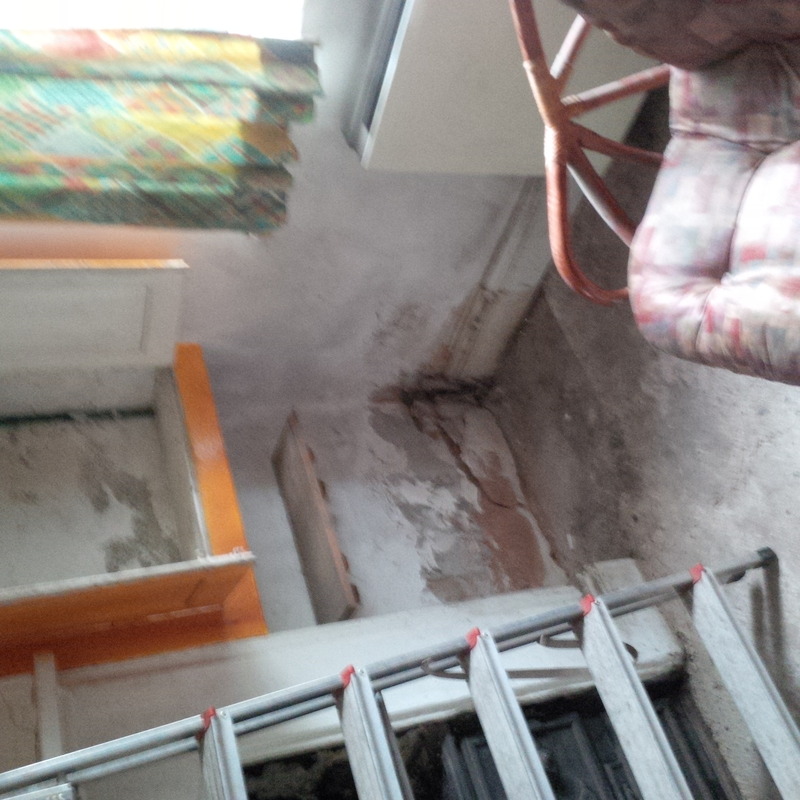 Evidence of rising damp is usually no higher than 1.5mtrs as it evaporates at a higher level. Each wall is drilled at regular, level intervals and the damproofing chemical is injected under pressure. This soaks into the capillaries of the wall that absorbed the moisture initially, and forms a lining which causes it to reverse its meniscus. Under normal atmospheric air pressure water cannot rise. The use of a diffusion cream works in the same way. A chemical can also be applied without the necessity of pressure injection. The wall is drilled at regular, level internals and the chemical is applied via a series of wicks inserted in the wall. This soaks into the capillaries without adding extra moisture to the wall. J & M Remedial Services will recommend the most suitable system for your property, whether you want to maintain your property or carry out a basement conversion. We are approved contractors of Sovereign Chemicals, Köster Waterproofing Systems and Delta Membrane Systems. • Floor coverings, carpets and furniture must be removed from the areas to be treated. • Wall plasters are likely to be hacked off, causing dust. • The use of power tools will cause noise and increase the dust problem. • Re-plastering work will result in increased condensation. • Re-decoration with emulsion paint cannot be carried out for at least 4 weeks. • Re-decoration with wallpaper cannot be carried out for at least 6 months.